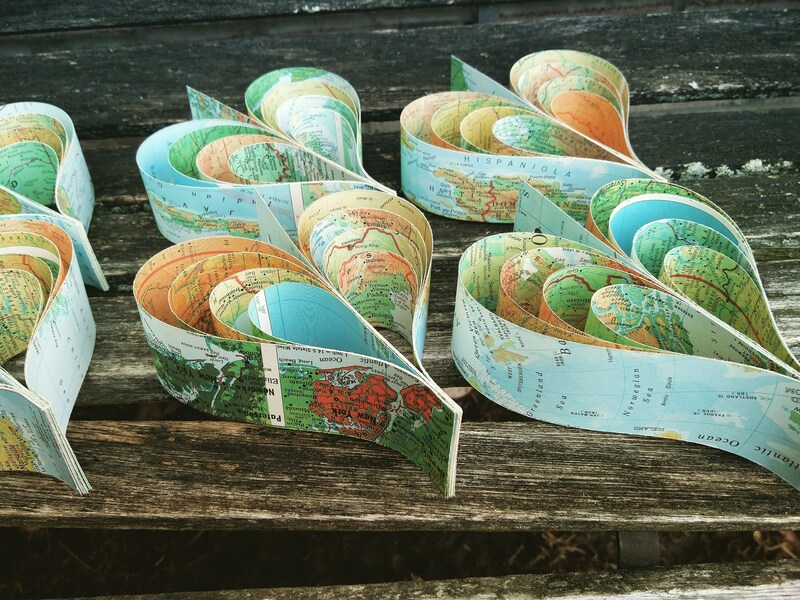 10 Vintage Map Hearts. 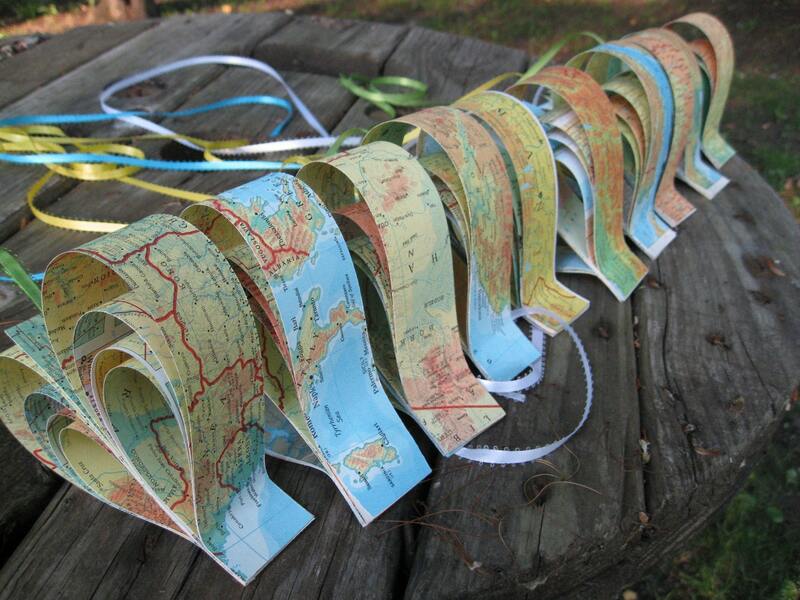 Garland or Individual Ribbon. Wedding, Shower, Birthday, Decoration. 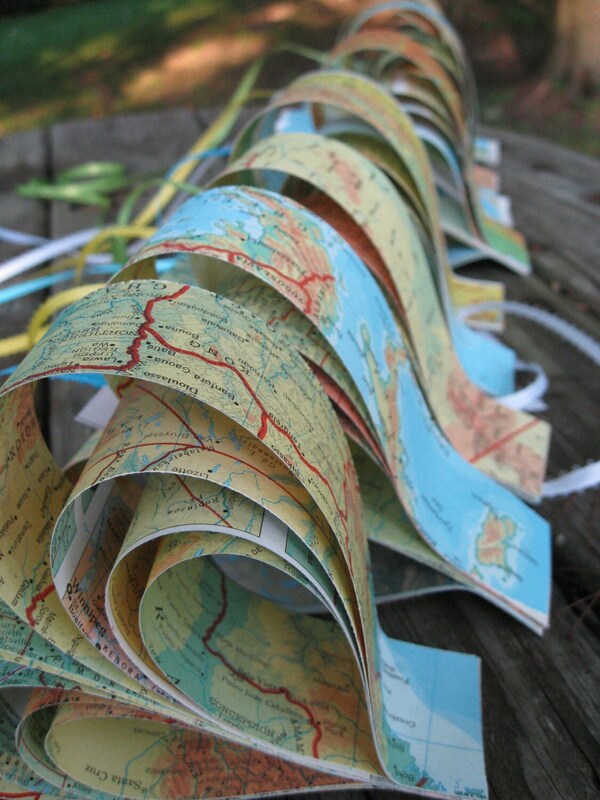 Travel, Destination Wedding. 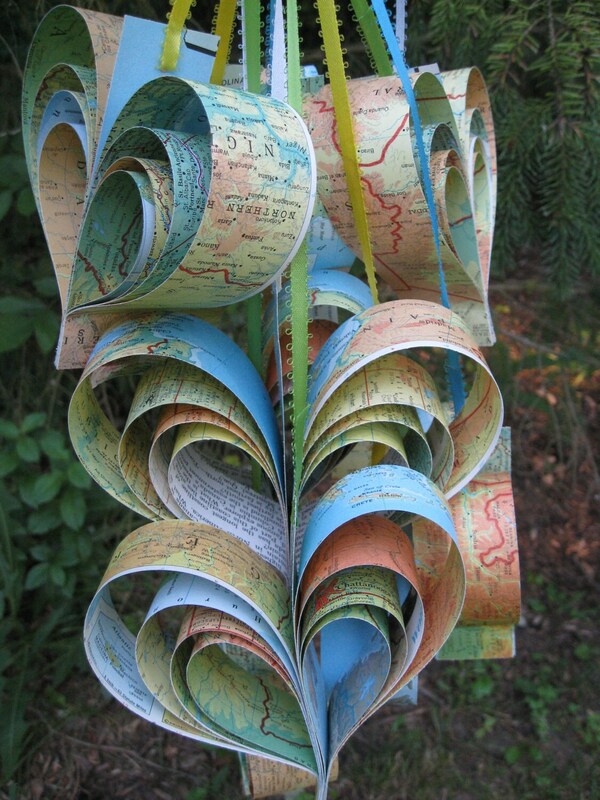 These map hearts are just the thing to decorate any wedding, shower, home, or event. Or use them to decorate a child's bedroom. Or an office. They make great gifts too! 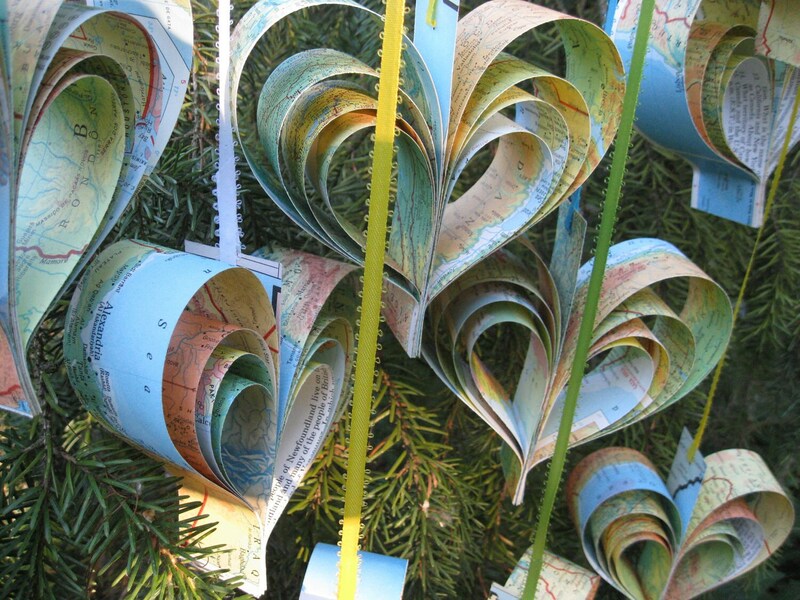 ---> Please select if you want each heart on its own ribbon or if you would like 30 feet of garland ribbon. 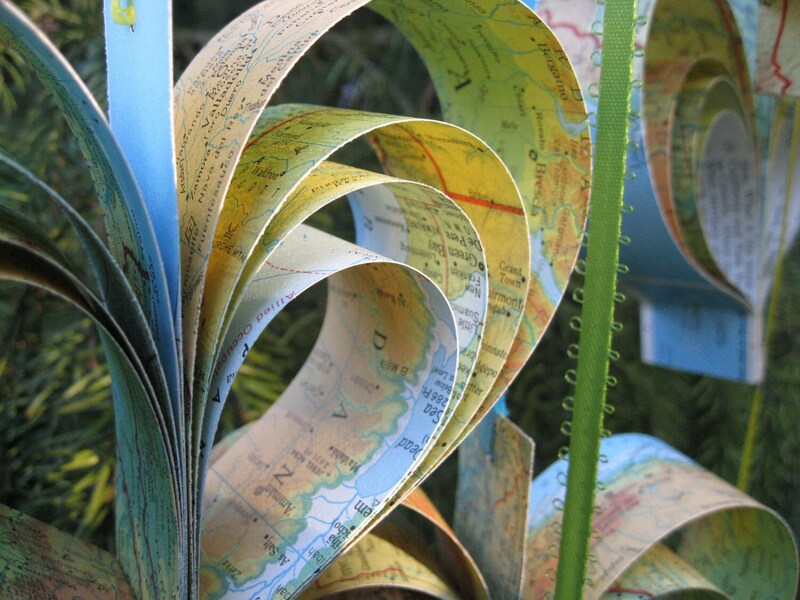 This listing is for 10 layered map hearts. Each heart measures about 6 x 6 inches and are 1.5" deep. PLEASE allow me a few days to put these together. Thanks!